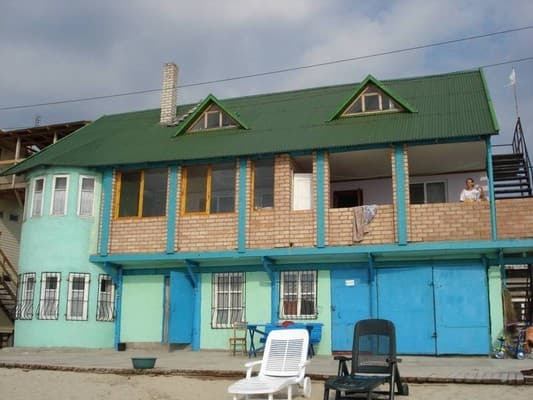 The Mini Hotel Sea is located on the Budak Spit, 20 meters from the sea. For accommodation guests are equipped with 2 and 3-bed rooms in a wooden cottage. Each floor of the cottage has a bathroom, shower, refrigerator, TV and a spacious hall. Residents can order three meals a day in the owners of the mini hotel. Meals are served on the summer terrace overlooking the sea. The menu of dishes of Ukrainian and Bessarabian cuisine. Also on the territory there is a summer bar with a summer area. Not far from the mini hotel there is a paid guarded parking for the car. 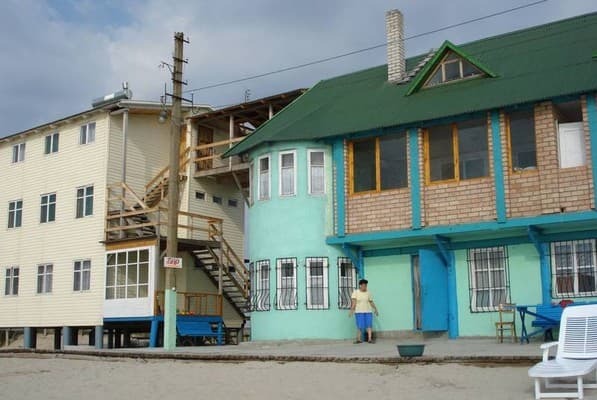 Mini hotel "Sea" is located 35 meters from the estuary, 60 km from Odessa. 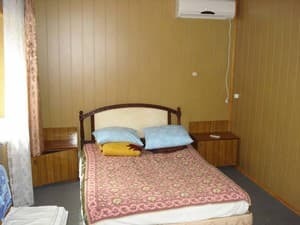 Description of the room: The bright room is equipped with a double bed. Children under 10 years with a 30% discount, without the provision of additional space - 50%. Residents can order three meals a day in the owners of the mini hotel. Meals are served on the summer terrace overlooking the sea. The menu of dishes of Ukrainian and Bessarabian cuisine. Also on the territory there is a summer bar with a summer area. 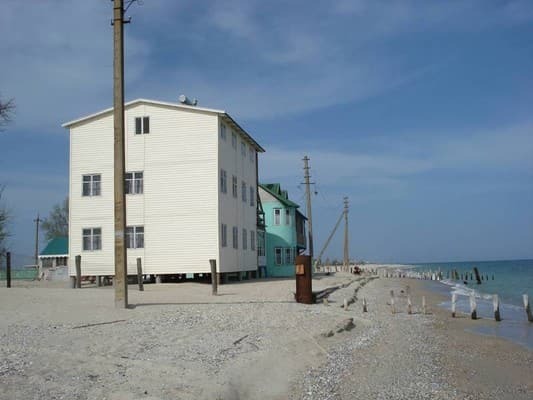 The Mini Hotel Sea is located on the Budak Spit, 20 meters from the sea. 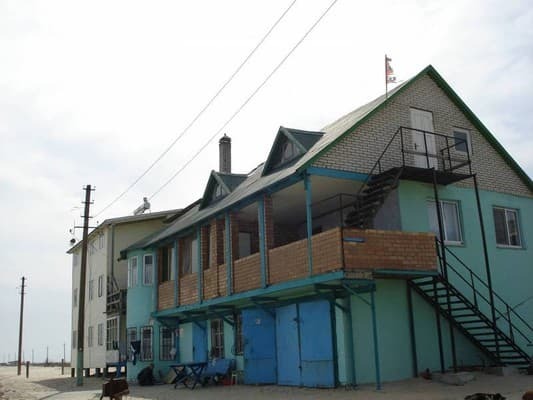 Mini hotel "Sea" is located 35 meters from the estuary, 60 km from Odessa. From Odessa: by commuter train "Odessa-B-Dnistrovsky" to the station "Solnechnaya"; by fixed-route taxi No. 560 to the station "Solnechnaya", from the bus station "Privoz" by shuttle bus №565.